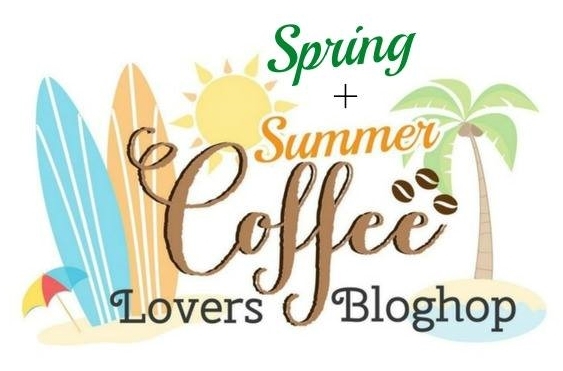 All good things come to an end and the Spring/Summer Coffee Lovers bloghop has just a few more hours left. 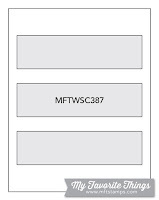 Hope you've had the chance to play along and if not, still check out the over 1,200 entries -- SO much inspiration!! For my card, I chose some pretty pattern paper to create a simple background. 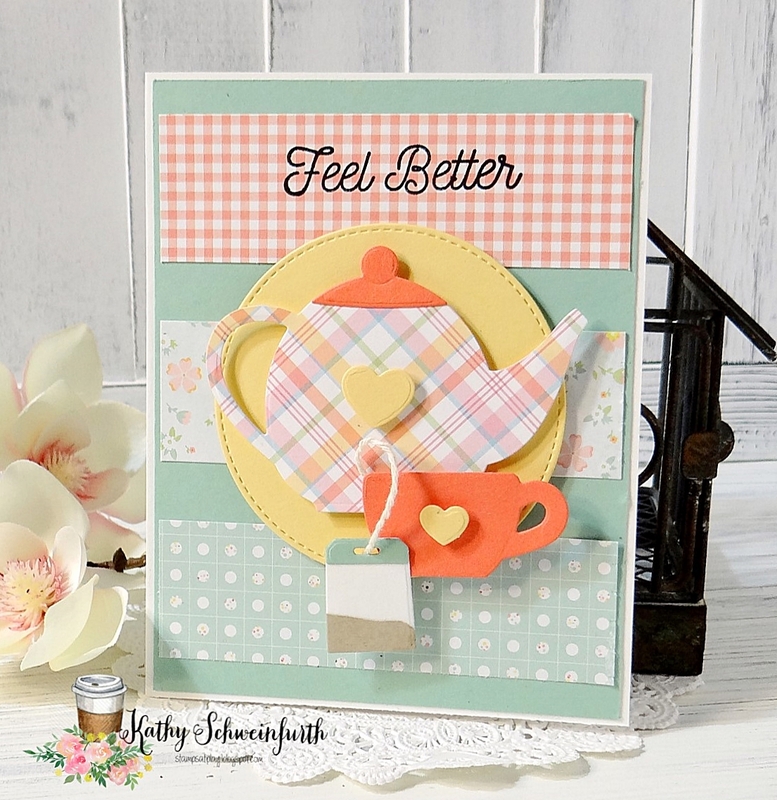 I then used some wonderful products from MFT Stamps - Die-Namics Tea Party! The sentiment is also from MTF called Feel Better. Oh this wonderful, the colors are delish! 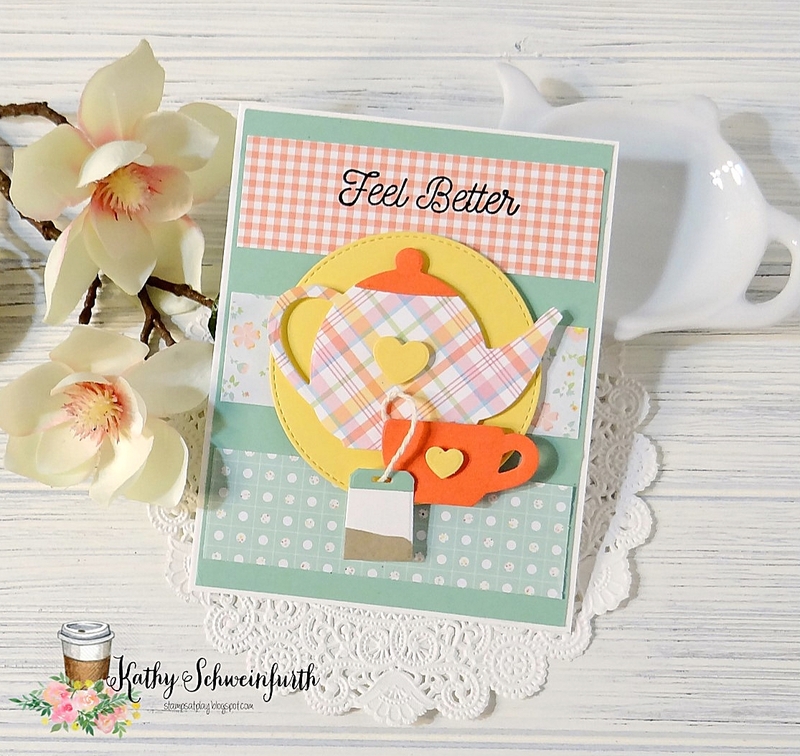 Wonderful get well card with the tea theme. Another bright and cheery card with quite an assortment of design papers...the bright yellow panel behind the plaid pot really pops. Thanks for sharing with us at DOUBLE TROUBLE and hope that you visit us for more fun challenges after the Coffee BlogHop. I absolutely LOVE your adorable little tea bag. Fantastic bright colors, and such a CUTE design. This made me SMILE!!! 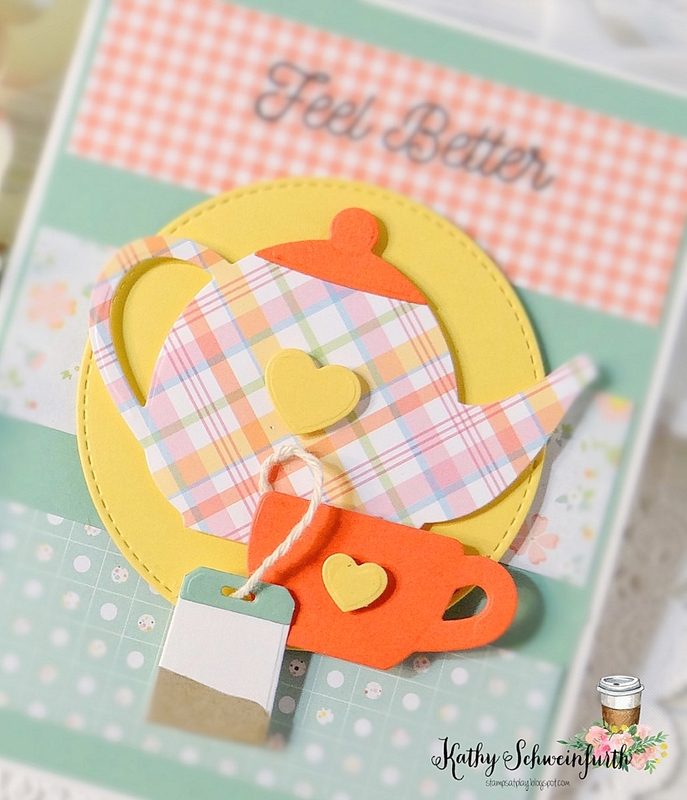 Freshness in this pretty card, love the teapot set, so pretty with great choice of papers! My fave now! Oh my! I think this is my fav from all your entries!!! Gorgeous teapot, cup and tea bag! Love all the layers and the stunning colors of pattern papers!!! I love the crisp shapes you get when using a physical die. They really stand out! Beautiful colors and gorgeous teapot. I feel better already! Beautiful papers and dies. Love this card. This is a sweet card that is bound to make someone feel much better. Love all the little details, down to the paper pieced teabag. So beautiful! Love the colors and patterns! 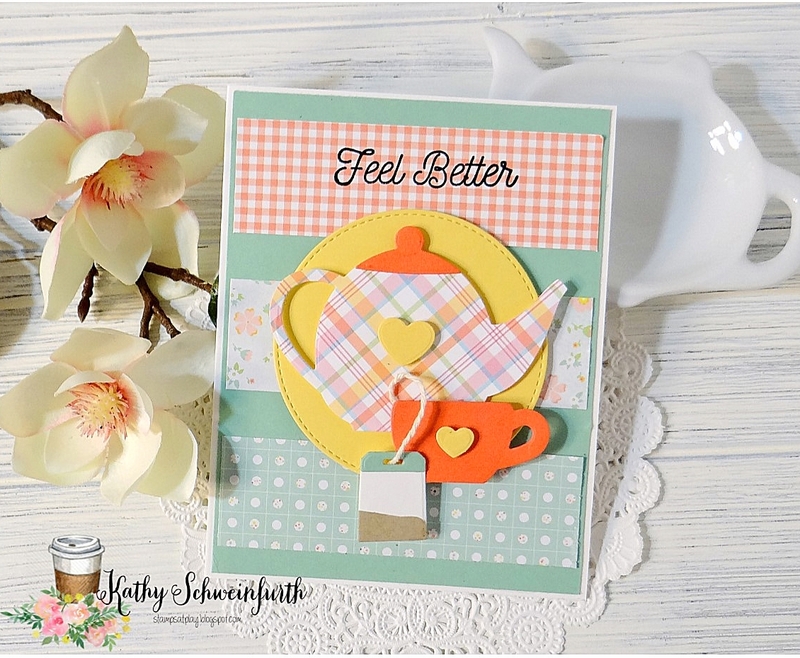 Your Get Well card is wonderful! 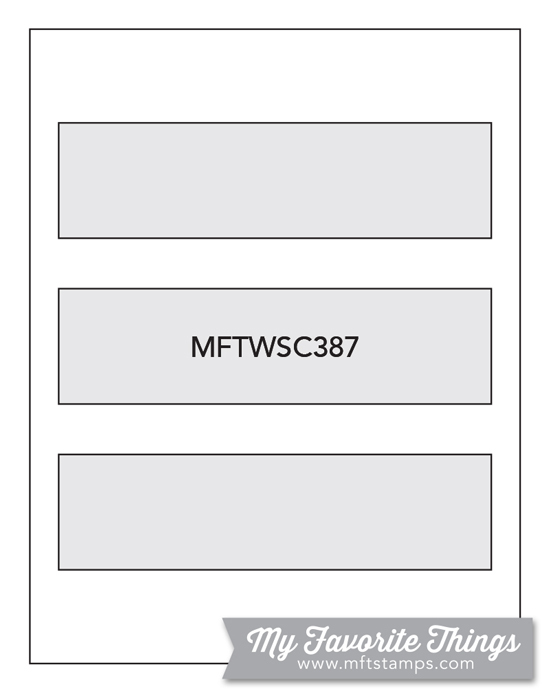 It made me feel cheerful with all of the lovely papers. Thanks for playing along at the Double Trouble Challenge. Great Sketch! Sketches are my favorite, I think because it helps jump start the ideas! I also LOVE your tea cup! I am a 1 cup of coffee and 1 cup of pomegranate tea person (no sugar). Thank you for joining Cut it Up Challenge -Any Sketch! Beautiful card! Love your take on the sketch and the color palette!